National Mall in Washington D.C. Photo credit: One Million Bones and used with permission. Leslie Woodward, Co-founder & Project Director of the Sarajevo-based Post-Conflict Research Center, explains the organization's planned activities for the 20th anniversary of the genocide in Srebrenica in this piece originally published on Balkan Diskurs, which is led by the Sarajevo-based Post-Conflict Research Center, a 2014 Rising Voices grantee. It is republished here as part of a content-sharing agreement. July 11, 2015, marks the 20th anniversary of the genocide in Srebrenica that claimed the lives of more than 8,000 Bosnian men and boys. On this occasion, the victims’ families gather to mourn the loss of their loved ones and to bury those unearthed from mass gravesites discovered throughout the country each year. Such enormous tragedy can be difficult to visualize for those who did not directly experience it, and the Post-Conflict Research Center in Sarajevo has stumbled upon a project that can help address this issue. Hence, as part of the effort to commemorate the lives lost, PCRC decided it would bring the project to Srebrenica. From July 8 – 11, PCRC will gather more than 100 Bosnian, regional and international youth to lay 100,000 handcrafted bones in a location where thousands of Bosnian civilians were held against their will, starved, and brutalized. These bones will occupy the very place where many Bosnians saw their family members alive for the last time in 1995. In addition to this collective volunteer action, PCRC has planned a series of activities centered on increasing the youth’s involvement in the peacebuilding process and educating participants on topics related to moral courage, inter-ethnic cooperation, and genocide prevention. The youth will then attend the 20th Commemoration Ceremony together on the 11th. The effort to bring the bones to Bosnia hasn’t been an easy one for PCRC. Many donors saw the project as either too sensitive or too risky to support. The National Endowment for Democracy (NED), the Council of Europe (CoE), the Swiss Embassy in Sarajevo and the Organization for Security and Co-operation in Europe (OSCE) were among the few that saw this project’s potential and have played a key role in making the initiative possible. In addition, the Office of the High Representative (OHR) has provided in-kind support. PCRC has also set up an online campaign to raise additional funds to help support the participation the project's youth participants. PCRC’s greatest accomplishment to date, however, was gaining the support of Srebrenica’s leading stakeholders, including Mayor Čamil Duraković and the (civic association) Mothers of Srebrenica. The organization behind the creation of the One Million Bones initiative is the US-based Art of Revolution (AofR). 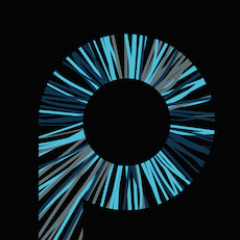 Located in Albuquerque, New Mexico and founded in 2011 by Susan McAllister and Naomi Natale, the organization uses art to transform public opinion and aims to inspire creative action towards social change. Naomi, the Artistic Director of AofR, explains that the idea for One Million Bones came as a result of her work on The Cradle Project, a community based arts practice designed to visually represent the plight of the estimated 48 million children who have been orphaned by disease and poverty in sub-Saharan Africa. “It was during this work that I recognized the power of combining education with the physical act of creating an artwork. It was an approach that could change people’s beliefs and motivate them to action,” Naomi explains. 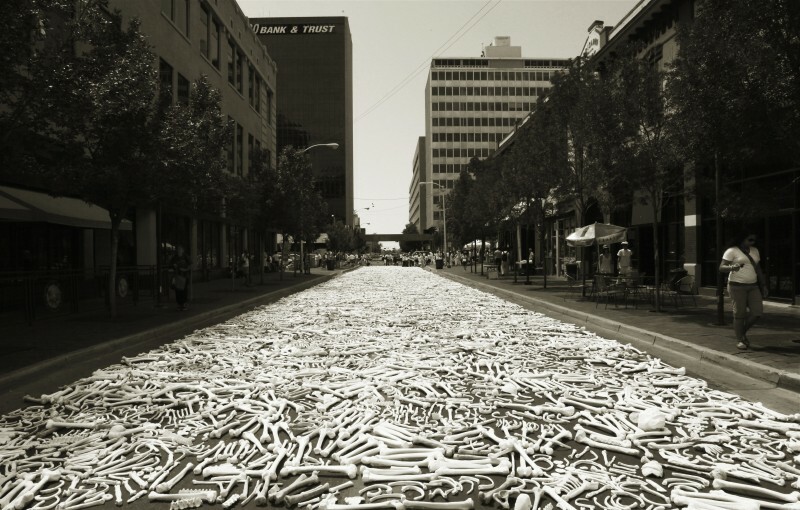 Shortly thereafter, One Million Bones was initiated with a series of awareness-raising campaigns and activities, including two preview installations of 50,000 bones in Albuquerque and New Orleans, Louisiana. Following these installations, AofR began its Road to Washington campaign, which enlisted volunteers in the making of the bones and the hosting of mini installations in capital cities across the US. 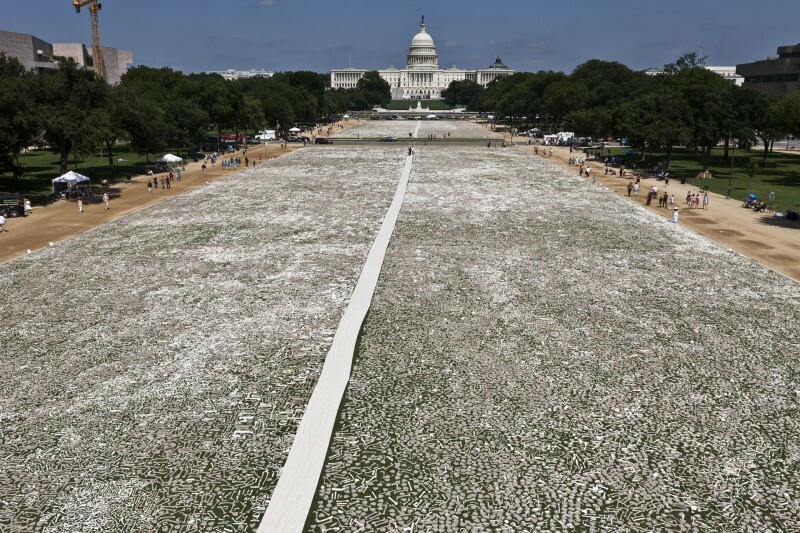 School children, college students, artists, activists and citizens all took part in hands-on art making workshops to generate the 1,000,000 bones that were eventually displayed on the National Mall. “We view the One Million Bones project as a way to address an issue almost impossible to fathom. The overwhelming nature of genocide often leads to hopelessness and the belief that one person’s efforts can’t make a difference. This project shows that many small efforts can add up to a profound statement, and this has become one of the guiding principles of our work,” expresses Naomi. 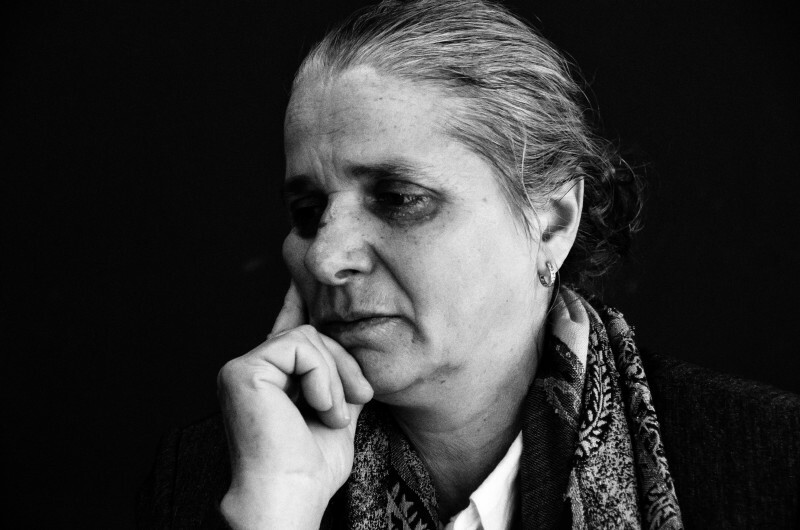 “When we were approached by PCRC in early 2014, we knew that Srebrenica was the Bones’ next call to action. We believe the world ought to mourn with the Bosnian people, and it is our belief and hope that the presence of this artistic installation of bones will bring attention from the wider world to the anniversary,” explains Naomi.